A customer packs groceries into his car outside of a Costco store on March 6, 2014 in Richmond, California. 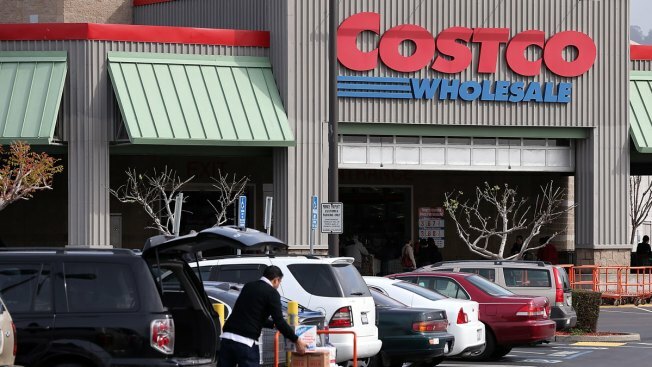 Costco Wholesale Corp. announced Thursday that it's raising its membership fees, as the warehouse club operator released quarterly results that fell short of Wall Street's expectations. Its shares fell more than 4 percent in after-hours trading. Starting June 1, annual membership fees for individual, business and business add-on members in the U.S. and Canada will rise $5 to $60. Executive memberships in the U.S. and Canada will increase from $110 to $120. Overall, the fee increases will affect around 35 million members. The Issaquah, Washington-based company reported fiscal second-quarter net income of $515 million, or $1.17 per share. The average estimate of 13 analysts surveyed by Zacks Investment Research had been for earnings of $1.35 per share. Costco posted revenue of $29.77 billion in the period, which also did not meet Street forecasts. Seven analysts surveyed by Zacks expected $29.99 billion. Its stock was off $7.30 to $170.68 in after-market trading following the release of the earnings report. Through the close of Thursday's regular trading session, its shares have climbed 11 percent since the beginning of the year, while the Standard & Poor's 500 index has increased more than 6 percent.